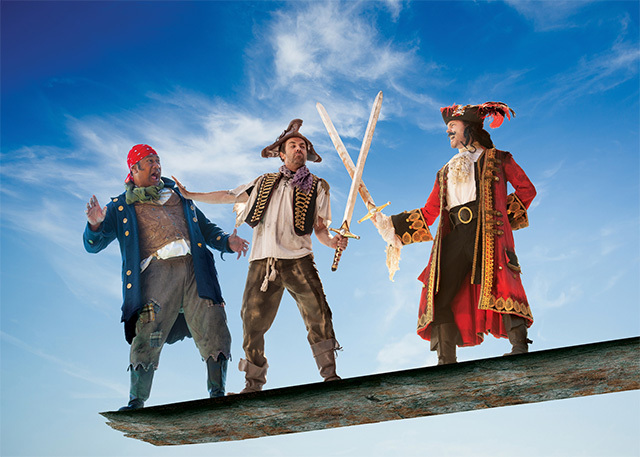 Win 2 tickets to Peter Pan Goes Wrong at Sydney's Lyric Theatre for opening night on 13 February 2019, 8pm valued at $200. Following hot on the wobbly heels of the box office hit The Play That Goes Wrong, Mischief Theatre brings its triumphant disaster Peter Pan Goes Wrong from London's West End to Australia, stumbling into Melbourne on 19 December, then Brisbane from 30 January, Canberra from 6 February, Sydney from 13 February and Perth from 7 March. Nominated for an Olivier Award for Best New Comedy, Peter Pan Goes Wrong turns the J.M. Barrie classic, Peter Pan, into 'a joyous masterclass of physical comedy and general disaster' (London Evening Standard). Once again, the much-loved members of the Cornley Polytechnic Drama Society battle against technical hitches, flying mishaps and cast disputes with hilarious and disastrous results. Will they ever make it to Neverland? Leading the cast of incredibly talented actors is JAY LAGA'AIA.